Valentine's Day is right around the corner and I created 3 easy projects that would make for a great gift. The best part is this was all just wood that I had laying around. Yes, I used my Axiom CNC but that doesn't mean you have to, I did it to save time, after all I did all these projects in 4hrs or less. Going into making the towel rack, I knew I wanted to use up as much scrap wood as I could. I didn’t need to use the CNC for this project, I could have used the scroll saw and/or bandsaw but it did help speed things up. I did make an outline first on the 1/4in plywood so I knew where it would cut heart out at. 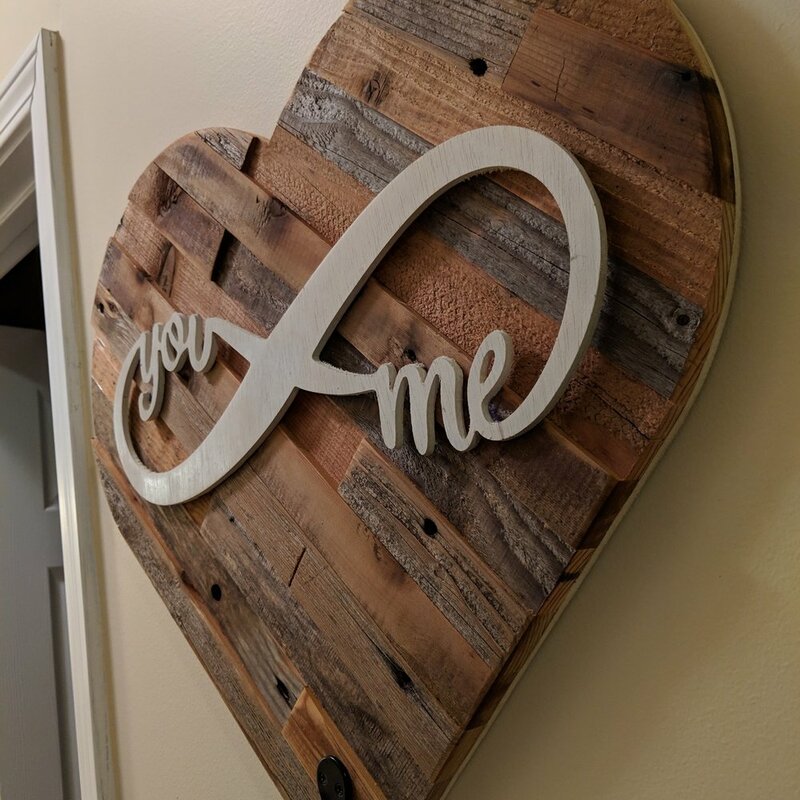 It was a bonus that I was able to reuse the wood that I used to cut out the Infinity you & me design. At the end I added a double hook to represent his & hers.. but I am sure it won’t get used that way haha. Key ring holder has been on my list for a long time, I wanted something that was “Home“ but also show love so I came up with a quick design using a heart as the “o“. To add a little more flavor, I turned the grain on a 1/4in sheet of plywood I had to bump the heart out. I added hooks every 2in, 4 in total. I like how that came out but I do admit I do not like how I mounted to the wall. I think keyhole pockets might be best for this king of design. Finally, a ring tray or change holder or keys holder.. it’s really up to you how you use it but if your spouse or fiancé is like mine… she takes her ring off at night and I wanted a nice place for her to put it safely. Out of all the projects, this one does need the CNC… I guess you could do something like this with a router but that would be tough! None the less, I am happy how this came out and I think the cherry and maple combination worked out well. Make sure you have enough space top and bottom when placing your wood on the CNC… I ran into a issue where I had to move the workpiece 5mm in the Y+ direction… can you spot it in the video?